Because every business person’s goals are unique, we offer flexible investor levels to become a part of The Development Association. Investing in The Development Association is a partnership. Our investors benefit directly from our services and efforts offered, but it’s the bigger picture that gives the community strength. Every phone call, morning meeting, and “request for proposal” is a drop in a larger bucket of categorical growth; a journey defined by each step to an ever-changing destination. 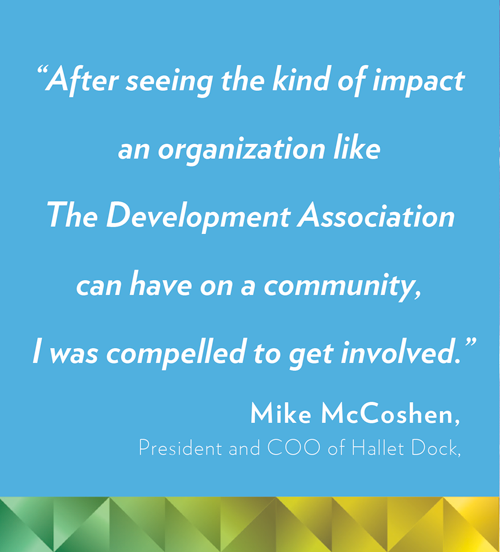 Join us today and let The Development Association get your business moving.